The Gaurs lost their last match and went down to sixth place in the standings. 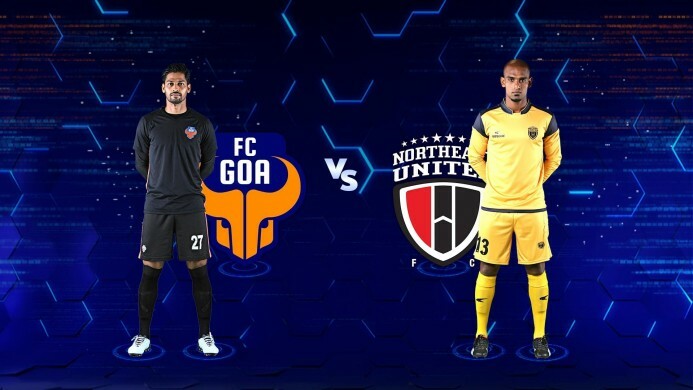 Having lost a close match to Mumbai City FC in their last game, FC Goa will look to put their campaign back on track when they take on Avram Grant's NorthEast United FC in the Hero Indian Super League clash at Fatorda Stadium on Sunday. A win tomorrow can see them go fourth on the points table. Currently sixth in the league standings with 19 points from 11 games, Sergio Lobera's men have two games in hand over third-placed FC Pune City and have played three games less than fourth-placed Jamshedpur FC, both tied on 22 points. "At this point in time, if they let me chose between 4th, 5th or 6th having played all the games or be in a position to have games in hand, I would prefer to have games in hand. That gives us an opportunity to climb up the table. I'm sure other coaches will prefer that too" Lobera said at the pre-match press conference. Pointing out the difference in the number of games played by each team, he added, "At the moment there are teams who have played three games less, some two less so the points table doesn't truly reflect." The former Barcelona youth coach also brushed aside talks of pressure on his side with others overtaking them on the points table since they last played. "Pressure doesn't exist for us at this point in time, for us, there is only excitement. Excitement to improve on the difficult season last year," he said. FC Goa have acquired the services of Moroccan 22-year-old midfielder Hugo Adnan Boumous. But the home side will be without midfielder Seriton Fernades, who was sent off in the last match. Talking about his team selection for tomorrow, Lobera said, "there will be changes in the team. But whatever the changes we make our style of play will remain the same. No doubt, FC Goa are one of the favourites to seal a top-four place. But, they first need to get past NorthEast United. In the reverse fixture earlier in the season, FC Goa lost 1-2 in Guwahati. 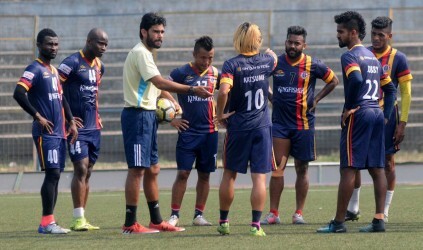 NorthEast United may have lost all hopes of making it to the playoffs. But, they would still want to finish the season on a high. Under Grant, North East has seen a drastic change in fortune. They have provided glimpses of what they can do but still haven't found any consistency. The visitors come into this game at the back of a 1-2 defeat to Bengaluru FC. The Spaniard has been the league’s most prolific scorer. His pace and trickery have troubled all his opponents this season and his goal-poaching skills have been exceptional, too. The 35-year-old has bagged 12 goals and three assists already and will look to be at his deadly best against the Highlanders, in order to avenge their previous defeat. The 23-year-old has been a livewire in the visitor’s attack. His quick and incisive runs down the flank, coupled with his knack of picking out key passes, makes him one of the players to watch out for. Narzary has two assists to his name this season and does get a decent amount of shots away in every game. He will hope to inspire his team in completing a double over the Gaurs. Avram Grant may counter with his own 4-2-3-1 formation, hoping to utilize their midfield and flanks to good effect.